If you were fortunate to have a Grandmother like mine, you were truly blessed! As a child I couldn’t wait to spend the weekend at my Grandparent’s house. Simple things like cocoa with melting marshmallows to dunk my toast in, or 1/2 cantaloupe filled with vanilla ice cream. The best homemade raisin filled cookies in the world. Meals that were always so delicious you never wanted to leave the table. I would cry when my Mom came to take me home. (I am blessed with a great Mother too). 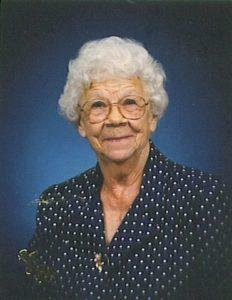 My Gram made me feel like the most special person in the world until she passed at 91 years of age. She was a true inspiration in my life. Little Edith was there for all of us and at 4ft. 10in., she was the strongest woman I’d ever known, spiritually, emotionally and physically. Like many people in her era, she worked so hard, both inside and outside of the home. 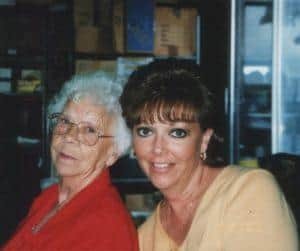 For over 45 years, she worked at Channelock in Meadville lifting heavy trays of tools, went home, tended to her large garden, canned and froze vegetables, not only for herself, but for family and neighbors. I cherish my memories of picking berries with her. I called her back yard “The Garden of Edith”, because of her beautiful flower gardens and trees. She would bake and cook for her church to earn money for a new edition to the building, to the point of us taking an SUV, with the back seat down, loaded full of food for the dinner. She was always our “Rock”. When I was going through a difficult divorce, I traveled 2 hours each way, almost every weekend, to be with my Grandmother. She never judged, always listened and of course, was in my corner. It was the talking, the communication, heart to heart sharing and being connected. This is why ”Hearing Those We Love” matters so much. As a Hearing Healthcare Provider, I kept my Grandmother wearing hearing aids for over 25 years. She remained active, sharp and clear minded and could talk to me like my best friend. 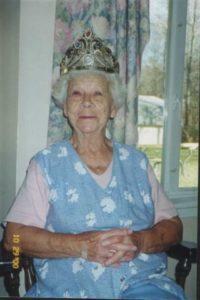 At the age of 90 my Grandmother suffered a mini stroke that affected her hearing and Central Auditory Processing. It immediately created a wall and barrier around her and was heart wrenching for me to see her frustration and inability to easily communicate. There was nothing I could do to help her. She could hear, but not well, even with hearing aids. She could talk but not really communicate fully in a conversation and finally she withdrew. Never before in my career, did I fully realize the impact of one’s hearing in their life. Never before did I realize how our quality of life was so greatly impacted by one’s ability to communicate and interact with the world. I had spent a lifetime studying and observing hearing loss through our patients. I witnessed their improvements through wearing hearing aids, both cognitively and emotionally, through clinical verification, and in their stories. However, I did not experience the pain of hearing loss until it involved my dearest friend and myself. I experienced the benefit of maintaining “Good Hearing” through wearing Hearing Instruments and the value they provided in my Gram’s life. The impact she had on my life and on the lives of my family was enormous for those 25 years. How sad it would have been if we missed out on those wonderful years we shared with her in close, heart to heart communication. How thankful we all are for the “gift of better hearing”. Hearing aids, along with Professional Care and Services, offer an active and “in touch” way of life. 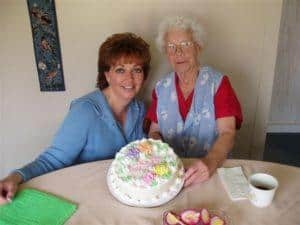 If you are a Grandparent with Grandchildren of any age, never underestimate the valuable role you play in their lives by communicating with them. Fortunately, I am blessed to be a Grandmother now and my life is so fulfilled. Maintain your cognition by feeding your brain with all of the information it needs to stay sharp. A hearing evaluation by a qualified Hearing Healthcare Professional, will give you the information and guidance you need for help with your hearing. “If the Eyes are the window to the soul, then surely our Ears are the doorway to our heart” This is why our hearing matters so much. Call Swift Audiology to schedule a complimentary hearing evaluation and take a pair of hearing instruments home for a test drive! No risk and obligation. Experience the Beauty of Better Hearing! Do it for YOUR loved ones.